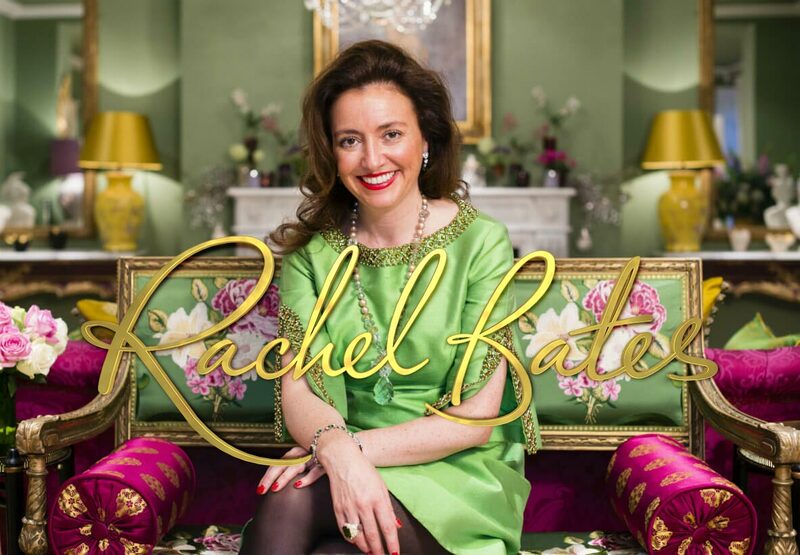 Rachel Bates Interiors are a multi-brand destination dedicated to the production and supply of luxury, timeless and elegant interior design products and schemes. 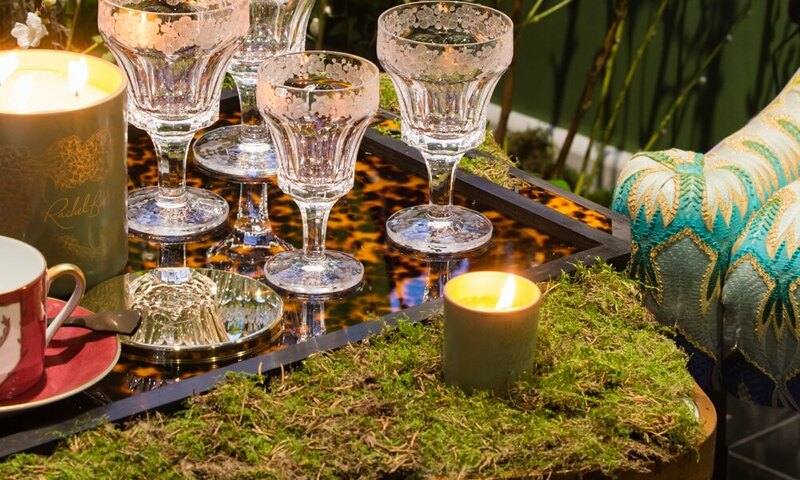 Their product ranges are colourful, elegant and of exquisite quality, handmade by the most talented artisans in the world – as seen in the Saturday Times Magazine. 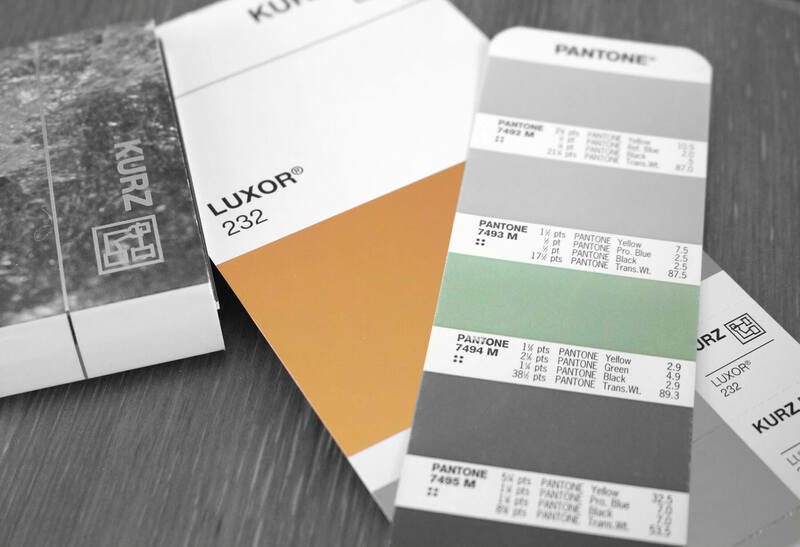 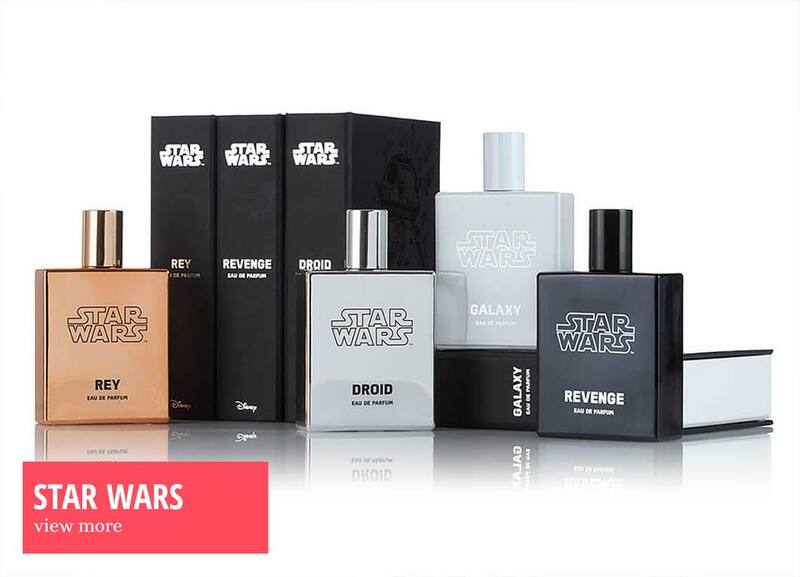 We were challenged to create a brand identity and luxury candle product and packaging design. 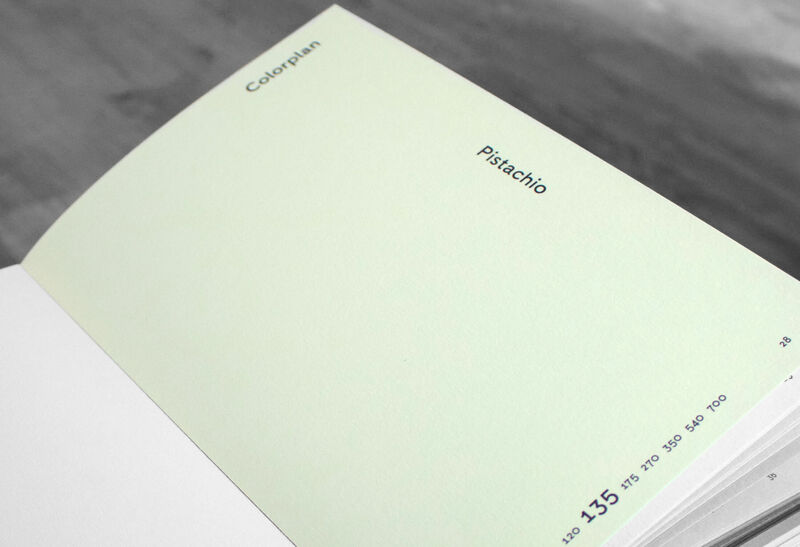 We created a unique brandmark based on Rachel Bates’s handwritten signature – her name is highly regarded in the industry, and we wanted to utilise her esteemed reputation to create something truly personal, yet convey the honest and luxury tone of her business and product range. 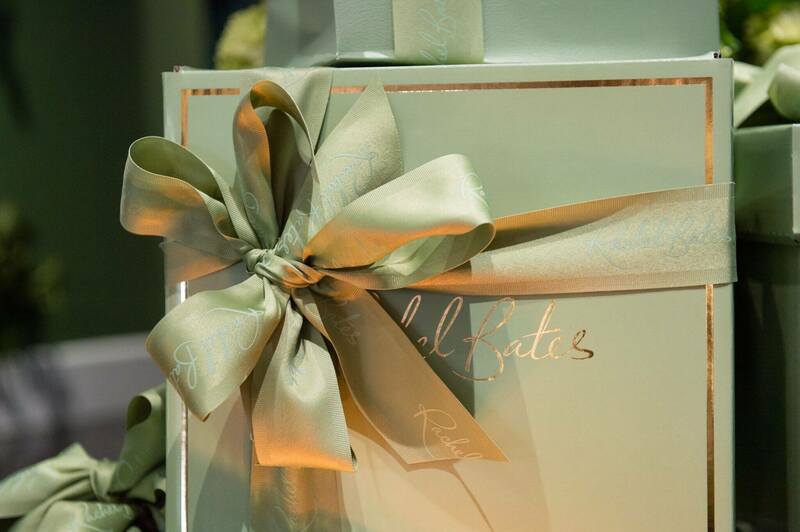 The script signature appears in gold foil on a unique colour palette of taupe green to compliment the Rachel Bates unique style. 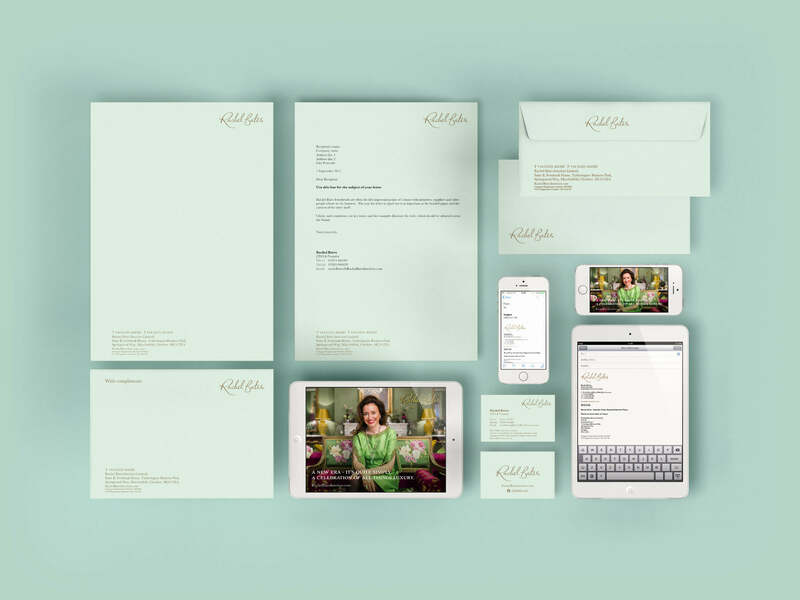 We created a luxury stationery system to represents Rachel Bates Interiors unique personality and style – incorporating sumptuous gold foil and a taupe green colour palette throughout. 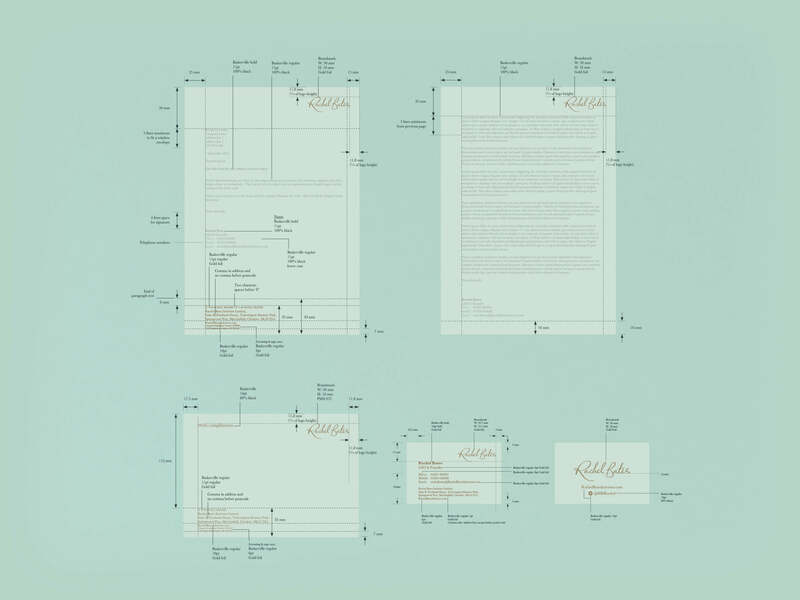 We applied the system to letterheads, continuation pages, business cards, compliment slips, envelopes and email signatures. 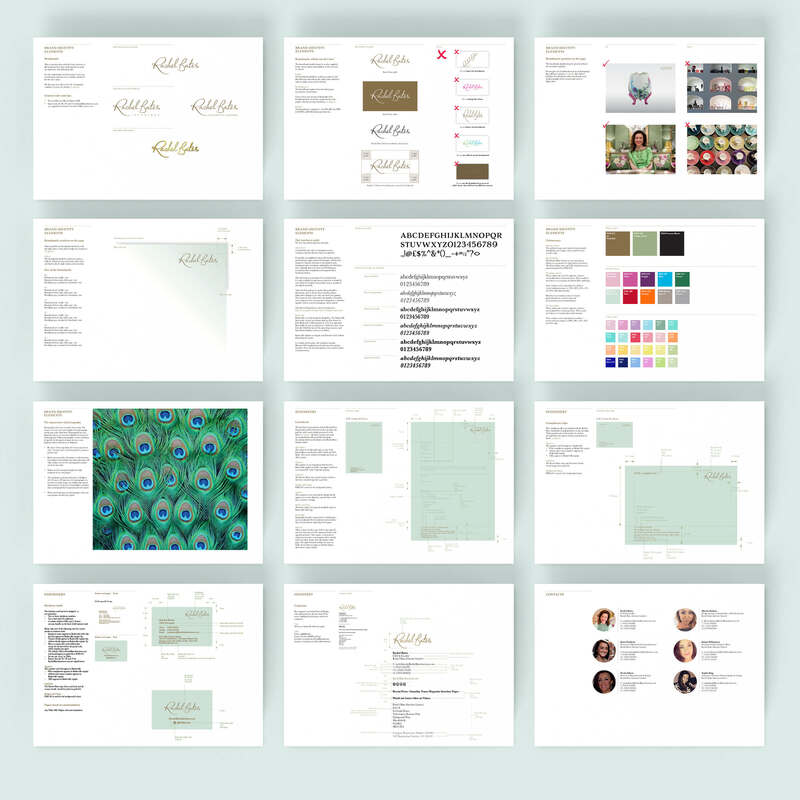 We designed a comprehensive 18 page brand guideline document that serves to guide future storytellers, designers and marketers about Rachel Bates Interiors brand philosophy and ethos for communicating and developing the brand. 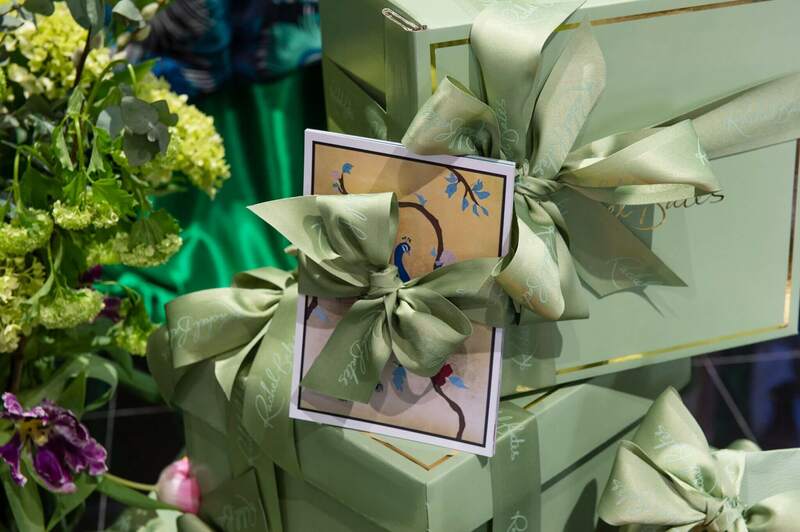 We designed an array of luxury packaging and accessory solutions for the Rachel Bates product range – including paper-over-board boxes, labels, mailing boxes, ribbon and tissue paper. 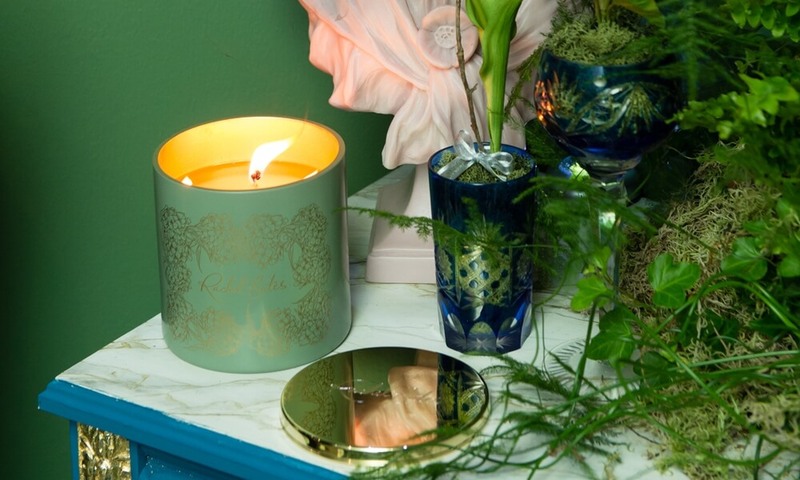 All items incorporate the Rachel Bates’ unique brand style and colour palette. 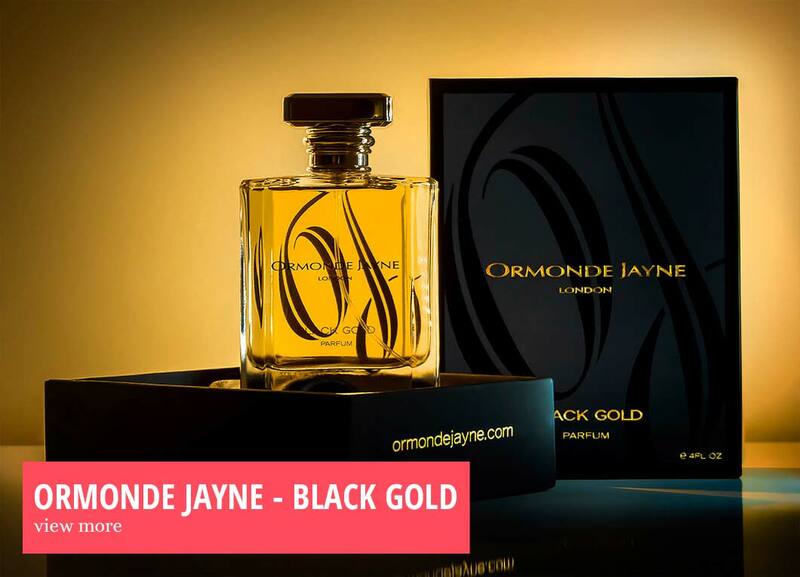 The Rachel Bates Botanical Candle is produced exclusively by Ormonde Jayne, a London based perfumery renowned not only for their perfumes but for their high quality candles which have been consistently ranked at the very top of the market. 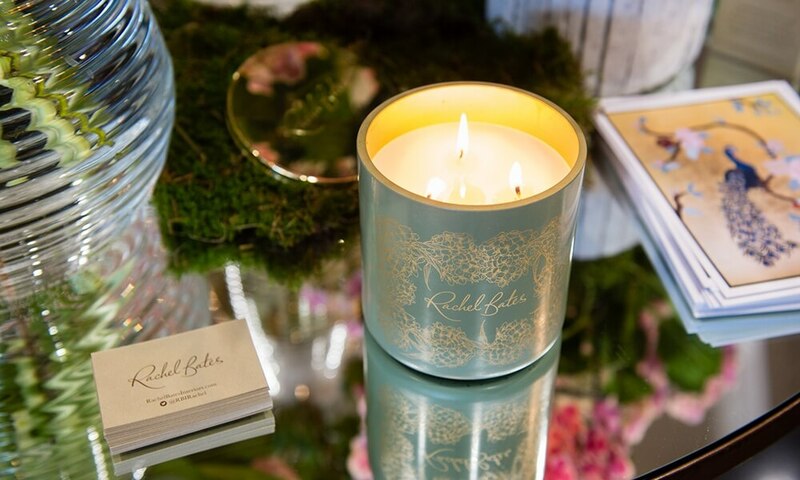 Using the finest oils, the Botanical candle is designed to fill the air with a sophisticated scent. 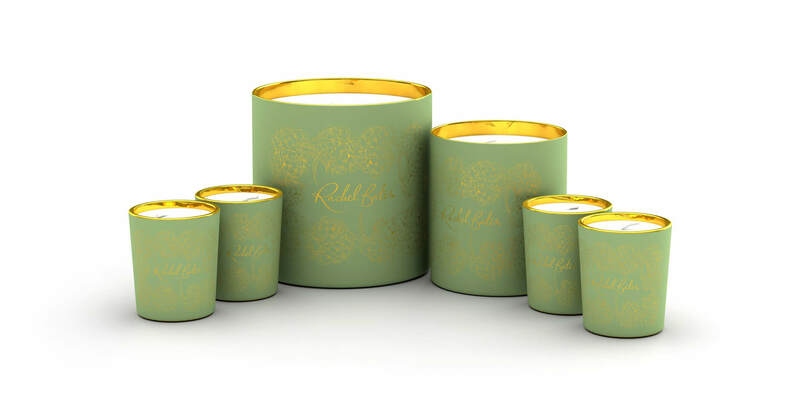 Each candle is developed is hand-poured and tested until perfect.